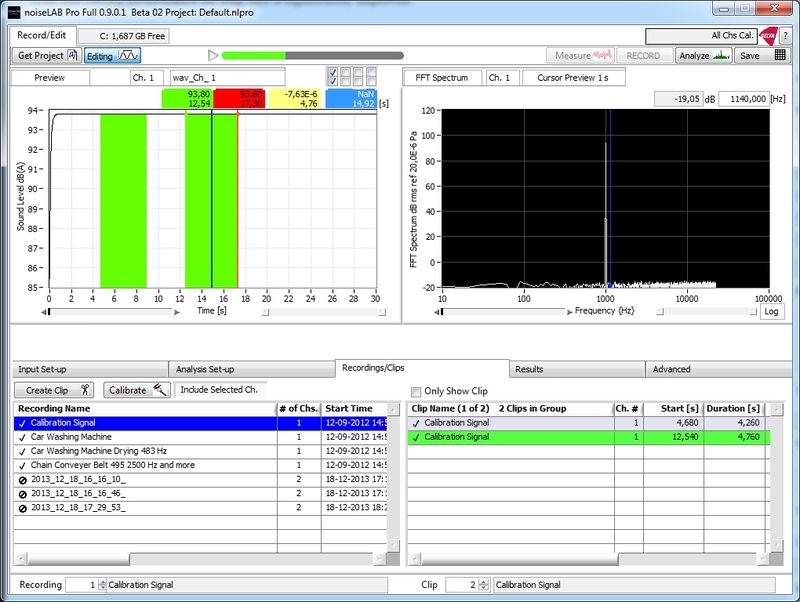 noiseLAB Pro is a major upgrade of noiseLAB with greatly improved usability and new measurement functions. noiseLAB provides a completely re-designed front end for one-click import, calibration and editing, plus support of a wider range of National Instruments data acquisition devices. Load and editing performance for long files is significantly improved. “Scrubbing” lets you view the FFT or octave spectra while dragging your cursor through the waveform. Editing is performed with a single click-drag-release gesture, and can be fine tuned using numerical entry. Created Clips can be renamed and measurement annotation can be added, including links to picture or video files. Each Clip is clearly indicated on screen in the associated recording. Increased dynamic range of the built in volume control overcomes the limitations of Windows native volume control, letting you listen to signals from low level wind turbine noise, to high volume jet engines. New measurement functions in the associated Batch Processor will include vibration, Sound Quality, and the Joint Nordic Impulse method. noiseLAB Pro is compatible with Windows XP Service Pack 2 through Windows 8. An overview of the entire noiseLAB Family is available here.